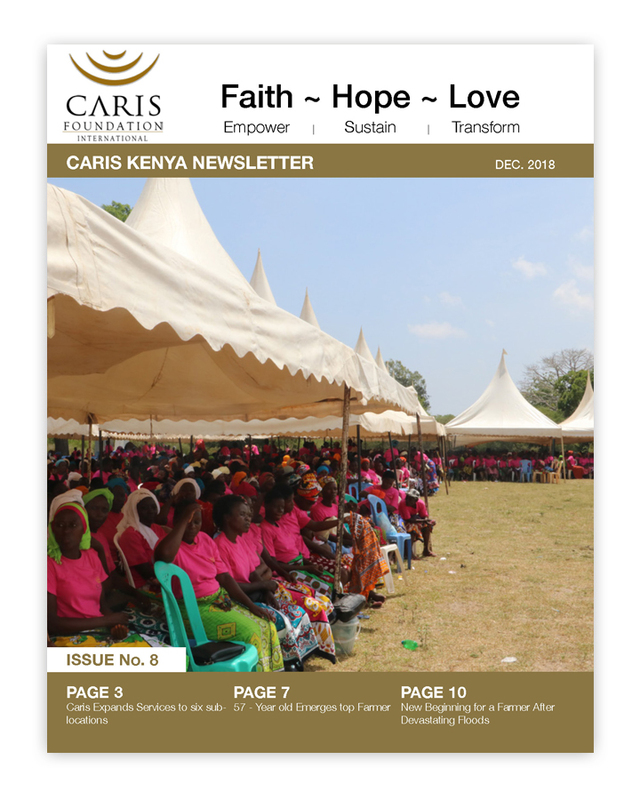 Pomp and color filled the air as more than 4,000 participants clad in hot pink t-shirts came together for the Caris Kenya end-of-the-year celebration. It was a coming together of old and new participants. The event was preceded by nine weeks of intensive growth initiatives by the Caris staff, together with community volunteers and Trainer of Trainers [ToT’s], across six sub locations. The colorful event was graced by Caris Foundation President, Kathy Halbert and Vice President, Christopher Harmon. Click on newsletter to open up the PDF.